We connect companies with their customers in meaningful ways and generate insight that is actionable with design thinking. Our focus is to set our clients and partners up for success through mastery of the early stages of design thinking. We first seek to better understand client opportunities through a customer-centric lens. We do this by engaging customers in environments where they live, work and play to uncover the motivations that are driving their attitudes and behaviors. We ground the foundation for our deliverables in the voice of the customer, keeping our content rich and authentic. We take great care in framing what customers' lives are like today and what they want most out of tomorrow. We simplify the narrative of your customer's world via personas, storyboarding and journey maps. This enables stakeholders to better understand the keys to unlocking their customers and to take meaningful action during ideation. We apply principles of #designthinking to our customer insight, making our work immediately actionable. Collaborative workshops involving not only client stakeholders and our creatives but customers as well open doors to co-create the products and services of tomorrow. We recognize the need for our clients to socialize the customer story and outcomes to key internal audiences. To this end we employ visual frameworks, walkthroughs and unique mediums to tell the customer story in such a way that it drives employee and executive engagement. We extend the reach and influence our clients have over their internal audience. Giving them the keys to unlocking their customers is just the first step. With podcasting, video production and more, we help keep our clients engaged with their internal stakeholders for the duration. Every customer comes from a different background which has shaped their view of the world and therefore their perception of your products and services. It creates a lot of complexity which simply isn't visible on the surface. As a result, you can't understand the true nature of your customers until you explore the environments where they live, work and play. We connect you with your customers in a meaningful way. 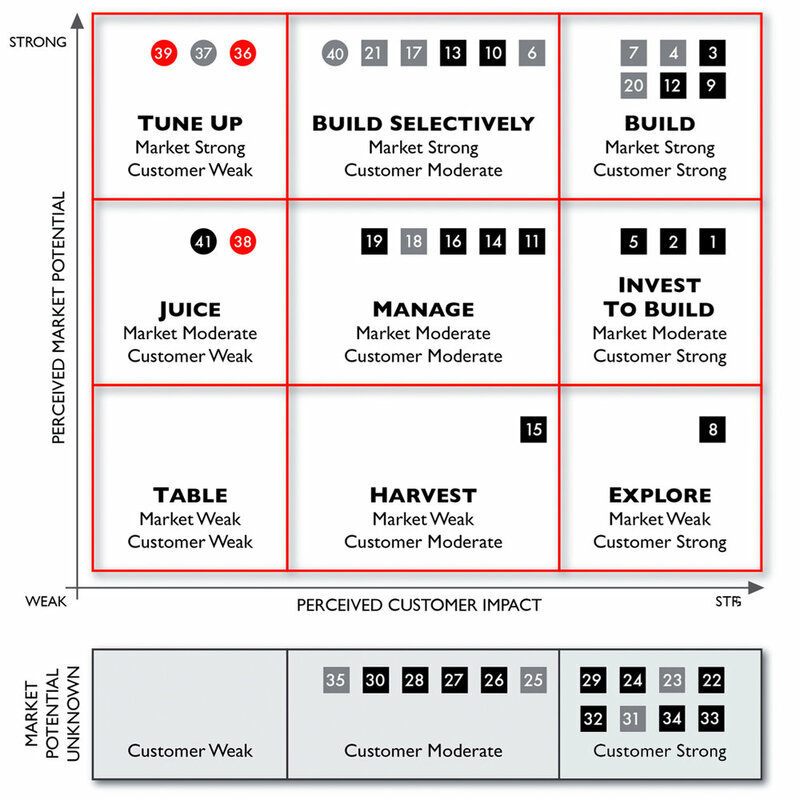 Our framework for analysis of the customer story is just as rich and complex as the customer's world; and rightly so. Through a rigorous approach, leveraging the voice of the customer, we establish a foundation for a storyline in which no customer need gets left behind. From there, we surface the keys to unlocking your customers needs and desires via frameworks that establish hierarchies and distill the greater narrative into rich, audience-friendly tools. Our process is wired for action. To this end, we ensure the insights and frameworks generated are positioned to empower you to drive change within your organization; establishing a common ground with the voice of the customer. You will generate buy-in from key stakeholders during ideation, regardless of each individual's background, discipline or agenda, and sustain that momentum with our services that extend the experience. We are less than an hour North of Boston, just over the Massachusetts border in New Hampshire, right off I-95 / NH101. You will find the entrance to our offices between D2 Java (for authentic coffees) and Stillwell's Riverwalk (for fabulous ice cream)! Our office is on the second floor. Interested in working @ STORYLINE?